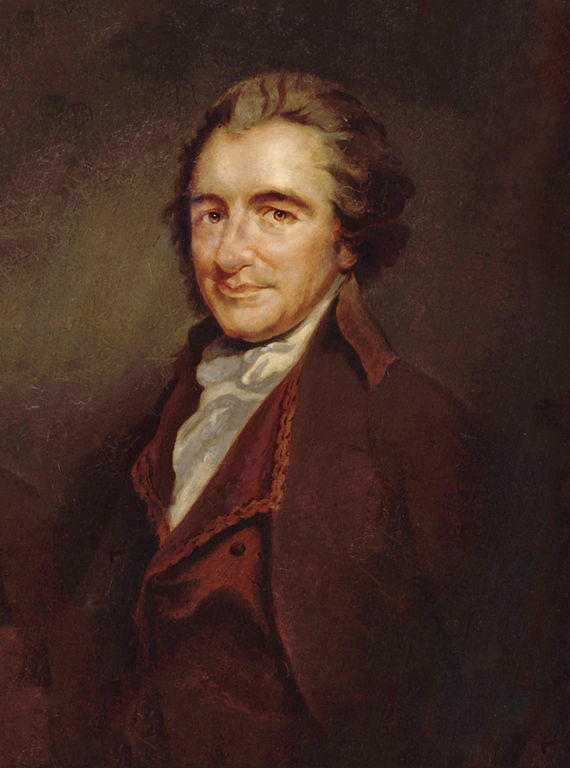 Thomas Paine (1736-1809) was an English-American revolutionary, philosopher, and considered one of the Founding Fathers of the United States, which included: Thomas Jefferson, John Adams, George Washington, James Madison, Alexander Hamilton, James Monroe, and, of course, Benjamin Franklin. With the help of Mr. Franklin, Paine emigrated to the American colonies in 1774, just in time for all the revolutionary action. Paine wrote two of the most influential pamphlets in 1776 which articulated and galvanized the colonists' sentiments at the start of the Revolutionary War: Common Sense and The American Crisis . Common Sense was so widely read (or read aloud to those who couldn't), it is considered the best-selling title of all time. Speaking to its influence, John Adams remarked "Without the pen of the author of Common Sense, the sword of Washington would have been raised in vain." Visit American History and the African American Library for other important historical documents and figures which helped the country.